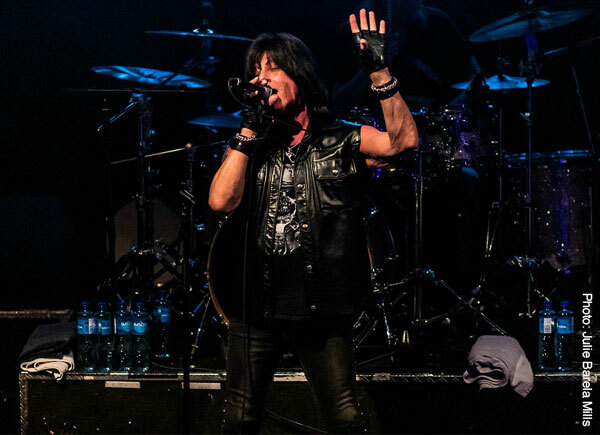 The day before his appearance at Sticky Fingers in Gothenburg, Sweden on 26 January - Joe Lynn Turner, and his band had been on the Stena Line cruise ship - Rock The Boat - with the likes of Tony Harnell and Michael Monroe to kick off his first headlining tour of 2019. I decided not to make that performance because I had just flown in from my home in the southwest United States and needed some time to adjust to the time change. Moreover, I am not much of a seafaring maiden either; and so, I stuck as close to land as I could to see the legendary singer not only in Gothenburg, but on the island of Hönö (for an acoustic set) on the 29th, and then all the way across the country to Borlänge the first day of February. This review only addresses the performance in Gothenburg. It has almost been a full year since I had seen JLT headlining a gig. Before then, I was witness to his collaboration with the Nagoya Philharmonic Orchestra. The 'Legacy of Rainbow' performance which occurred on 24 February 2018 will go down in the music history annals as one of the most electrifying and moving performances of his illustrious career. Moreover, with me at that show and now for this performance in Gothenburg was my dear friend, Yoko Shimamoto, who flew in from her native Japan in support of JLT. So, when Yoko and I arrived at the venue around 20:00 hours, fans had already been lined up outside the venue for close to an hour where it was a crisp and overcast -7 degrees Celsius outside. When the doors finally opened to the 20-year-old three-story building, we proceeded up a flight of stairs. To our left, we walked past a soft baby-blue, three panel mural of singer Jim Morrison, to the coat check area where we could deposit our leather jackets and heavy coats for a few kronor. Moreover, rather than head down to the stage to photograph the show; Yoko and I decided to head to the balcony instead, and I just sat down at the railing with a decent vantage point of the stage. Guitar legend Kee Marcello, opened up for JLT at the sold-out show. At approximately 21:36 hours, I heard a motorbike revving up. JLT's European band consisting of former Alien and Juvenile Lovebomb bassist, Ken Sandin; longtime Dynazty drummer, Georg Härnsten Egg; keyboardist/multi-instrumentalist P-O Nilsson, and Spain's virtuoso guitarist, Jorge Salán were already on stage, playing the first chords to JLT's staple opener "Death Alley Driver." 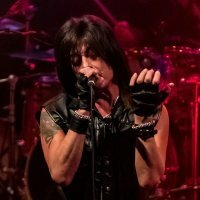 Joe Lynn Turner then came down a short flight of stairs, stage right, looking well-rested and fit inside the leather vest, he wore over a black t-shirt cut off at the sleeves - ready to rock and roll the crowd below. Much of the songs heard were from his days as a member of Rainbow. Hits like "I Surrender," "Jealous Lover," and "Stone Cold," were played in succession after "Death Alley Driver," with a few deep album cuts, like "Drinking With The Devil" thrown later into the mix. Couple that with a monstrous rendition by the band of "Difficult to Cure," sandwiched in-between "Spotlight Kid," and JLT's signature song, "Street of Dreams" - the set sounded lively and fresh - as his gravelly voice invigorated the songs he co-wrote. The crowd below responded with equal enthusiasm towards the 67-year-old singer/guitarist, singing as loud as they could, during portions of songs where a call and response was needed. Of course, JLT didn't forget to include solo material like "Dark Days," from Slam (2001) which speaks volumes - easily mirroring the mood living in today's world and the epic tale, "Blood Red Sky" from his 2007 offering, Second Hand Life. On this night, Jorge Salán played a scorching solo intro of his own into the song made famous by JLT's longtime guitarist and collaborator – Karl Cochran on the original recording, just before JLT gently reminded us of a key lyric that, "time catches up with the past...stolen moments never last." 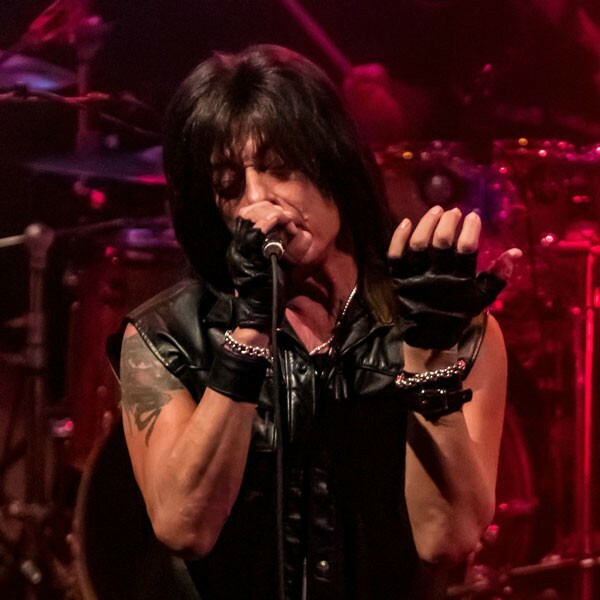 JLT closed the set with "Rising Force," from his collaboration with Swedish guitarist Yngwie J. Malmsteen, and finally, an extended version of "Long Live Rock and Roll," his tribute to his fellow Rainbow bandmate and friend, the late, Ronnie James Dio. 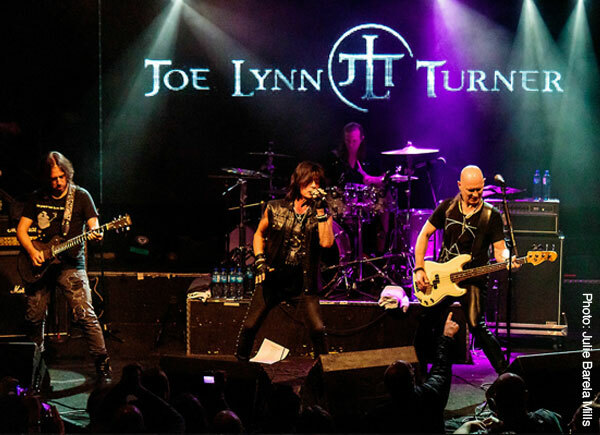 It's worth noting for anyone who missed any portion of his performances while he was in Sweden this time, JLT will be back at Sweden Rock Festival on 5 June 2019.